There is a minority element within the Christian community that contends the early church met exclusively in private homes, not in the type of public facilities one sees today. They allege that the use of modern church buildings is in violation of the biblical pattern. They say that church groups are families. Therefore, in order to preserve the atmosphere of intimacy, the group must remain small. And since families live in homes, they suppose that the house church arrangement constitutes a binding pattern for New Testament service. The advocates of this theory—however sincere they may be—are terribly misguided. This notion of a mandated congregational “birth-control” program has no semblance of support in the Scriptures. There are New Testament commands requiring—and examples of—Christians to assemble for worship (Acts 20:7; Heb. 10:25). This implies (and thus authorizes) a place of some sort at which to meet. But unless there is an exclusive pattern of conduct associated with some type of underlying spiritual principle, no one can require a particular style of meeting-place (e.g., in a private home). Expediency will suggest what is prudent under different circumstances, and expediency is a matter of judgment and preference. There was no exclusive pattern relative to worship facilities in the days of the apostles, and this is demonstrated by the following facts. The early Jerusalem church initially met somewhere within the confines of the temple complex, which encompassed a very large area — approximately 20 acres. It has been observed that the court of the Gentiles was very large, capable of accommodating some 200,000 people (Harrison, p. 64). These meetings may have involved several different groups as the church expanded. Nonetheless, initially at least — before Jewish hostility was aroused, the outer court area was their meeting place (cf. Acts 2:46). These “first fruits” of the faith quite obviously were not required to segregate into scores of small house churches for the purpose of engaging in worship on the Lord’s day. This claim, quite frankly, is ludicrous. First of all, the church did not begin as a small unit in someone’s house. There was a minimum of 3,000 disciples in Jerusalem on the day of Pentecost (Acts 2:41). There could have been many more than 3,000 if those baptized under John’s ministry (Matt. 3:5-6), as well as those prepared by the Lord and his men (Jn. 4:1-2), were not included in this figure (cf. Alexander, p. 89). The early disciples did meet in homes at times. Of this, there is no doubt (1 Cor. 16:19; Col. 4:15). But there is not the slightest evidence that this arrangement constituted a binding pattern. In some instances, Christians may have employed a borrowed or rented facility. Such a circumstance likely was the case relative to their daily meetings in the school of Tyrannus (Acts 19:9), which appears to have included Sundays as well as weekdays. To argue, as some house-church advocates have done, that this was merely a temporary arrangement (two years) is hardly convincing. Scripture does not sanction digression as a preparation for practicing the truth. Aside from that, those in that region who were converted to Christ surely had houses that, on occasion, accommodated worship assemblies, and yet a public facility was also used. The point is this. The house-worship was not a binding, exclusive pattern. One simply cannot discount the fact that persecution played a significant role in the locations selected for worship during the first few centuries of the church’s existence — before Christianity received the protection of civil rule. The book of Acts contains ample evidence of the distressing pressures that the early church endured under the oppressive hand of adversarial harassment — first Jewish, then pagan. But such circumstances afford no argument that negates alternate expediencies of more tranquil times. There is no foundational, spiritual connection between a worshiping body of people, and the place of their meeting. One easily can see, for example, the underlying association between observing the communion supper (reflecting the body and blood of the Savior), and the necessity of doing so on the first day of the week (the resurrection day). Thus there is an obvious spiritual connection between the death and resurrection. But there is no spiritual affinity between a worshiping body and the type of facility in which they meet. A meeting place is wholly incidental. The house-church theory would suggest that no congregation could grow larger than that which can be accommodated in a private home. How large does a church-family have to be before it violates this humanly imposed, growth-limit law? Moreover, if the family analogy is to be pressed as a binding pattern (as our friends of the house-church persuasion contend) since a family dwells in a house each day, why not insist that all local church members must reside within the same structure on a sustained basis? Finally, we must address this matter. Advocates of the house-church theory allege that there is no example of “literary evidence nor archaeological indication” of a church building prior to the time of Constantine. Two things must be said in response to this allegation. First, if a building is a mere expediency, it does not matter when such facilities were first employed as places of worship. There are many expedients that have developed over the centuries that do not violate the scriptural authority principle (e.g., methods of disseminating the gospel via radio, television, and the Internet). Secondly, the assertion that no special buildings for worship existed until the fourth century, has been disputed by some very notable historians. For example, Joseph Bingham (1668-1723) of England produced a massive work (ten volumes) which consumed twenty years of research. Titled, The Antiquities of the Christian Church, it is recognized generally that this scholarly effort has not been superseded (Cross 1958, 173). Bingham declared that the recent views of some that suggest the Christians of the first three centuries had “no distinct places of worship,” does not hold up under careful investigation. Bingham calls attention to the work of Joseph Mede (1586-1638), who did a detailed refutation of this claim, “collecting the authorities of the ancients, which for the three first ages [centuries] prove the being of Christian churches” (Bingham 1865, 277-282). A massive amount of evidence was introduced from the writings of the Ante-Nicene Fathers. Bingham concluded by observing that while larger facilities certainly became more popular after the advent of Constantine’s administration, nonetheless the early saints “always had places peculiarly set apart for Divine worship” (282). The English scholar said this fact was undeniably proved. Others have noted that while the early churches frequently met in a member’s home initially, eventually many of these houses were donated to the body of Christians and became buildings especially dedicated to the church’s assemblies. In 1931-32, at ancient Dura-Europos near the Euphrates River about 200 miles SE of Haran, archaeologists discovered the ruins of an ancient church building. The date of the building, determined from an inscription, was A.D. 232-233 — fourscore years before Constantine’s “edict of toleration” (Finegan 1946, 405-406). 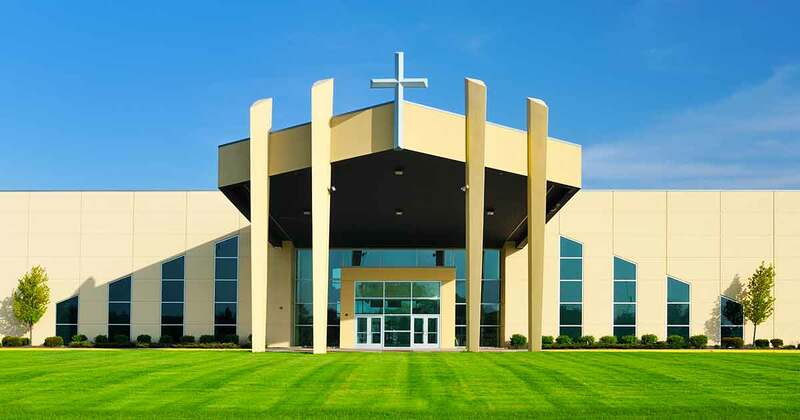 There may be no question about the fact that many modern churches have wasted huge sums of money on buildings of unnecessary design and elaborateness. Certainly, many congregations do not use their facilities in the wisest, most pragmatic way. Abuses, however, do not negate a legitimate expedient. Alexander, J. A. 1956 reprint. Commentary on Acts. Grand Rapids, MI: Zondervan. Bingham, Joseph. 1865. The Antiquities of the Christian Church. London: Henry G. Bohn, Vol. I. Cross, Frank, Ed. 1958. The Oxford Dictionary of the Christian Church. London: Oxford University Press. Ferguson, Everett F. 1975. Acts: The Expanding Church. Chicago, IL: Moody. Finegan, Jack. 1946. Light From The Ancient Past. Princeton, NJ: Princeton University Press. Harrison, Everett. 1975. Acts — The Expanding Church. Chicago, IL: Moody.